ScoreHero :: View topic - 6/28 DLC: Flogging Molly & Nonpoint! 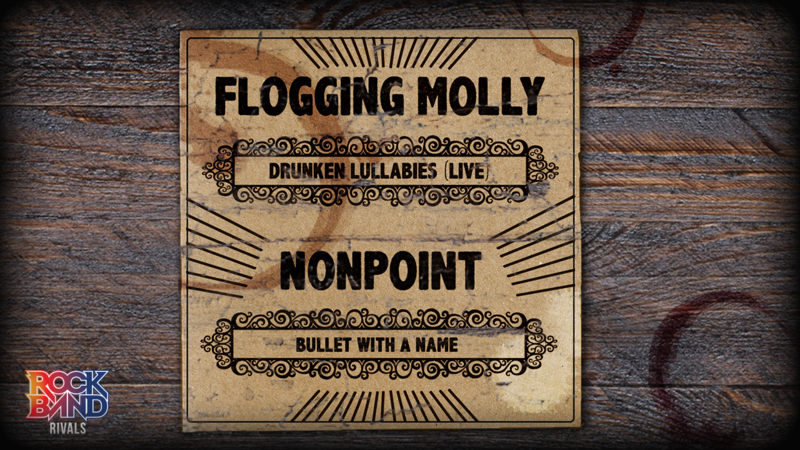 6/28 DLC: Flogging Molly & Nonpoint! Posted: Thu Jun 28, 2018 10:07 pm Post subject: 6/28 DLC: Flogging Molly & Nonpoint! This week, were adding 2 hard-hitting singles from Flogging Molly and Nonpoint! Drunken Lullabies (Live) is considered by many the signature Flogging Molly song and is an essential track for any St. Patricks Day playlist. The live rendition appears on their third live album Live at the Greek Theatre, which hit #5 on both the Billboard Rock and Independent Albums charts as well as reaching the #2 spot on the Alternative Albums chart. Drunken Lullabies (Live) makes a perfect introduction for anyone unfamiliar with the Celtic Punk genre. Fast paced melodies from the banjo and fiddle seamlessly work together with distorted electric guitar chords and grungy vocals, while the drums are kept at a rhythmically steady but speedy pace. Its an exciting track and the live version will make you feel like youre at your favorite Irish pub. Nonpoint debuted their single Bullet With A Name off their fourth studio album To the Pain in 2005. The album hit the Billboard 200 and had multiple songs featured in movies, video games, and TV shows. Bullet With A Name landed a placement in a 2007 major film, as well as a spot on Billboards Mainstream Rock Chart. Pulsating rhythms from the guitar and vocals combine for a catchy chorus, while the drums' rapid cadence make it a challenging, but fun tune for the whole band to play.